The army circles in Rol Archapelagoand Aori Archapelago. Could you put them entirely on the water? they just look kinda strange where they are covering the islands. The mountain/volcano thing in the Red continent. It should be blended a bit more in with the red. right now it just kinda painted on top of it. make the transition more smooth like the mountains in teh brown continent. EDIT: wow.... just read the thread. I don't see the similarity between this and mibi's tutorial. I don't see it at all. Hmm, a lot to address here. I’ll do it in no particular order. Btw, your map is beautiful, wcaclimbing. This is a draft. I don’t do shoddy drafts. We got the idea to do an island map, did the rough drafts between ourselves, and thus were able to put a draft on CC that isn’t crap. t-o-m wrote: hey - your the one making the map - your the one that has to defend the critisism, if you cant deal with it then you shouldnt make it. i think you can deal with it but there is nothing that makes it dramatically different. If you would like a change made to the map and will state what sort of change you would like understandably, I will be happy to make it. I bow to your superior suggestion. If you’ll just send the psd file back to me, I’ll do my own work from now on. greenoaks wrote: …you are in the map foundry. it is your responsibility to interest us or the map goes nowhere. Absolutely it is. You seem very keen to argue on a map that you’re not interested in, though. You are right on all counts. I’ll have a go at it at once. wcaclimbing wrote: EDIT: wow.... just read the thread. Mjinga wrote: Hmm, a lot to address here. I’ll do it in no particular order. Btw, your map is beautiful, wcaclimbing. i don't come here to argue, i come here to provide imput so you can make a map that will interest me and the CC community at large. i have suggested the real world in 3 different posts. DiM went to the effort to post a map of a real place for you to base your map on. and what do you do? respond to the flamers & ignore the constructive criticism's. greenoaks wrote: i don't come here to argue, i come here to provide imput so you can make a map that will interest me and the CC community at large. Mjinga wrote: Neither of us has a problem with criticism. I bow to your superior suggestion. Your suggestion of making a real world place is not really of any value to us. It's not "constructive criticism." It's not even criticism, really. You're giving your opinion, which you are perfectly entitled to, but since you're telling us to scrap what we have and start from scratch, it's not particularly beneficial to us. We don't really want to do a map of a real world place, probably for the same reasons as you don't want to see us do a fictional place. I'm sorry that doesn't interest you, but your opinion does not represent the opinion of the "CC community at large." Also, for the record, we haven't been ignoring any serious comments, either for or against this map. Herakilla wrote: lets stop arguing and start providing constructive criticism. Sure, we can add/subtract territories without a problem. What number would be best to have? I don't know the exact algorithm for deciding neutral placement, but if I remember correctly, even numbers are best. In that case, should we make two additional territories? If you would give any criticism for this map, we would gladly take it. But the only thing you've been saying is "it looks like Discworld," which, as we explained earlier, isn't really helpful. DiM wrote: as much as i like fantasy maps i don't find this one attractive at all. i mean making up a bogus archipelago just for the sake of it is wrong. if you want to create a special gameplay yes you can come up with fantasy realms to suit your needs but if it's classic gameplay then why not do a real place? 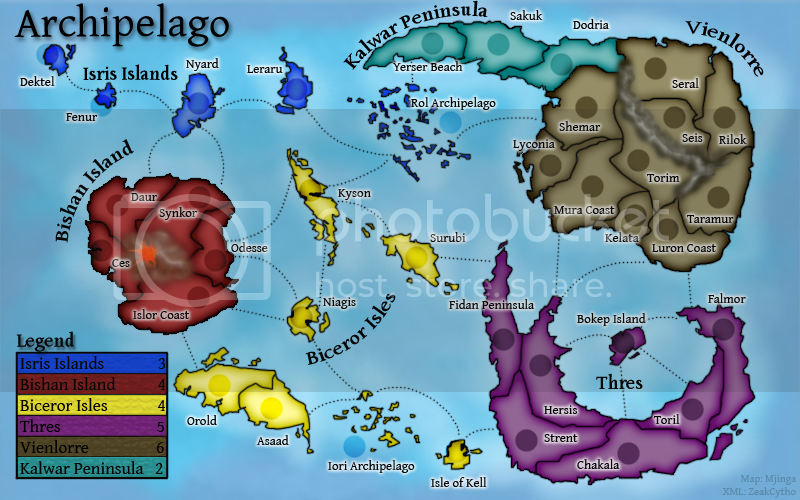 you will have a lot more success by doing the hawaii islands or by making the malay archipelago because people relate better to a real place than to a fantasy theme. and frankly unless the fantasy theme comes from something very popular (middle earth, discworld) or the gameplay is something new and exciting (aom, feudal, aor) then people won't play it. and btw DiM you ignored my posts on teh foundry discssion! well everyone did ! you were not ignored DiM. they basically told us to piss off in this post. they only want to hear from people who agree with them. greenoaks wrote: you were not ignored DiM. they basically told us to piss off in this post. they only want to hear from people who agree with them. Hear that sound? It's the sound of total lack of interest in this map as it is right now. Last edited by TaCktiX on Wed Apr 16, 2008 3:55 pm, edited 1 time in total. Here that sound? It's the sound of total lack of interest in this map as it is right now. outstanding map, nothing to add, FF it and quench right away, dont listen to critisism, do it your way so your happy - who cares about what others think, if they dont like it - they will have to just deal with it. DiM: You are right, I did not specifically respond to you. I beg your pardon. The Malay archipelago is very nice. However, I don’t feel that you can issue a blanket statement on our existing map like, “people won’t play it.” I have received support for the idea in game chats and in this very thread. Perhaps you won’t play it. Also for the record, I’ve found that to most people on the internet, unless they live near it or are particularly interested in the world, the Malay archipelago is as irrelevant as our archipelago is. Most people are stuck in their own little spot of geography and couldn’t tell Bucharest from Yaoundé. t-o-m: We have taken criticism. I have changed the map instantly to reflect the criticism of wcaclimbing. I have not scrapped the map, as you have suggested I do, and so perhaps in that I have not taken your criticism. I do not feel required to give up on this idea simply because you and a few others do not like it. ConquerClub is a big place, and I feel there is room for this idea here. Also, I might let you know that it is puerile to thread-jack other people’s map threads simply because you disagree with Zeak and I in this thread. TaCktiX: Thank you for notifying us of your non-interest. t-o-m II: Oh, you’re ALL the regulars? I never knew that you four decided everything on ConquerClub. Everyone: I realise that not everyone will like the map. I am perfectly cognizant of that fact. I accept it. I am aware of it. You do not need to keep reiterating it. 4. All sound advice must be followed unless a logical rebuttal by the cartographer or another member of the community is provided. 5. To proceed through the foundry the community must show a reasonable amount of interest towards a map. This rule is designed to take care of exactly the problem that you have with our map. Okay? If there is not enough interest, then it will not get passed out of Map Ideas. It is as simple as that. I do not need to hear “no one will play it” over and over again. That is not useful criticism. Let the non-interest that you say abounds show itself, don’t incessantly inform me that it’s there. i dont want you to scrap the map, just ajust it. Mjinga wrote: TaCktiX: Thank you for notifying us of your non-interest. Mjinga wrote: Oh, you’re ALL the regulars? I never knew that you four decided everything on ConquerClub. umm so u wanna know if we have interest eh? what you said doesnt even make sense, if we had interest why woudl we "axe it"
t-o-m wrote: i dont want you to scrap the map, just ajust it. How, then? Please inform me. Specific details work best. Good for them. I have noted their opinions. All that I have been stubborn on is that I will not give up. I repeat, I will not. End of story. Next? I think you rather completely misunderstood both my post and CatfishJohnson’s. i saw both of your names on the "users browsing this forum", why dont you respond? Colors match up below with text in the quote. Does it matter that much anyway? cause maybe there isn't a place that matches this map? Also, forcing a map onto a real landscape can often trash the gameplay. Because the borders given by a real map won't always give good gameplay for CC. Is there any evidence out there to support that? I'll still play it. I'm looking forward to it. Not everyone likes complex maps. Not everyone likes real world maps. Let them make this map. it looks good so far. 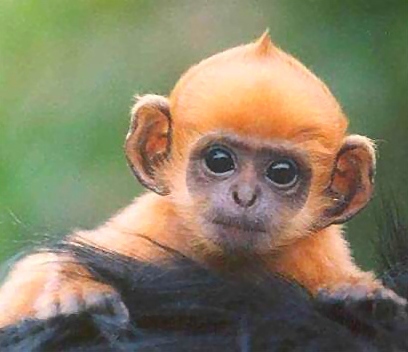 Look at this image of a monkey. isn't it nice?